Dr. Roth received his undergraduate degree from Rutgers University and went to dental school at Georgetown University. 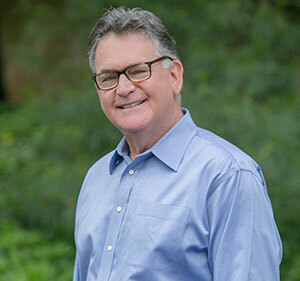 To continue his training, he came to Philadelphia to do a general practice residency and continued to practice general dentistry, until he completed his three-year orthodontic residency in 1986. He has practiced orthodontics in Jenkintown ever since. An active member of the teaching staff at Albert Einstein Medical Center’s Department of Dental Medicine, Dr. Roth teaches orthodontic practice and theory to graduate orthodontic residents. In addition, he has a teaching appointment at Abington Hospital’s dental department. Through his experience in general dentistry, teaching orthodontics, and his love of continuing education, he is able to offer his patients the most modern, up-to-date approaches to their care. Dr. Roth believes in the invaluable educational role organized dentistry provides for professionals. He is a past president of the Greater Philadelphia Society of Orthodontists. When he’s not in the office, Dr. Roth spends time improving his professional skills through his lifelong commitment to continuing education. He also enjoys travel, golf, and cooking. Dr. Roth has two grown children, Ben and Kaki, and two beautiful granddaughters. Dr. Roth and his staff are committed to providing excellent orthodontic treatment in a caring, friendly, relaxed environment, using the latest in technological advances to help care for their patients.